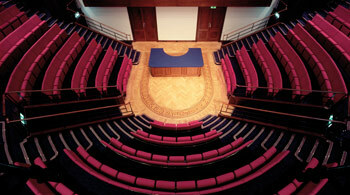 The lectures were given in the famous Faraday Lecture Theatre, home of the Royal Institution Christmas Lectures for young people, and the famous Friday Discourses, since 1825; the theatre has hosted such august presenters as Humphrey Davy & Michael Faraday, Julian Huxley (prominent evolutionary biologist and grandson of Thomas Huxley, the great supporter of Charles Darwin), William Bragg, Bernard Lovell, Desmond Morris, David Attenborough, Carl Sagan, Richard Dawkins, Marcus du Sautoy, to name but a few, and most recently the illustrious Jack of Kent. It was in this theatre for example, during 1831, that Michael Faraday demonstrated that electricity can be produced by moving a magnet through a brass coil, causing electricity to flow through the wire. Faraday’s law of electromagnetic induction is the basis of power generation and power transmission. The meeting opened with a discourse on the legal and ethical position of science blogging by Jack of Kent and Dr Petra Boynton. It is a veritable legal and ethical minefield, so much so that we all agreed that we wouldn’t blog the contents of this session. It is true to say of blogging, just as it is for scientific research, that just because you can, doesn’t mean you should. Scientists are inherently anarchical, we tend to speak out minds and be damned. The fact that the state of knowledge has progressed at all is in part due to this facility of dogged irreverence in scientists. However, the industry of the printed word has existed under the control of publishing industries, the rules and governance of which are enshrined within the law. Whilst professional publishers know what they can and can’t get away with, a blogger is also a publisher. In seconds we can put our position to the world, and we can be held to account for it. The aim was of course to not stifle freedom of speech in science bloggers, but to inform us of the legal ramifications of throw-away statements. By identifying and familiarising ourselves with how the law governs published material, it can initiate a grass roots movement to have silly and impertinent laws modified to reflect the available new media. 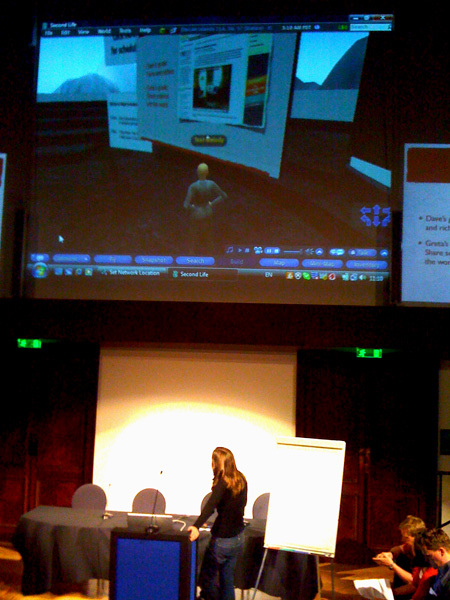 The screen was then set for the remainder of the conference by entering Second Life, the virtual world developed by Linden Lab, where delegates unable to get to London had to this point been watching proceedings at the RI via video feed. The next session covered blogging for impact, discussing whether blogging can actually help our careers rather than hinder them. It was a novel experience to have David Munger present his powerpoint slides from within Second Life, viewed on our big screen, with the other Second Life delegates sitting, or moving around, in their own theatre. 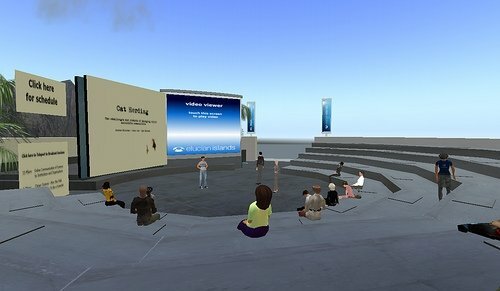 This was what the Second Life audience saw during the ‘Cat Herding’ session that covered science community building. [Image via flickr]. Blogging should be something that counts, in a positive sense, towards your academic record. It can more widely disseminate your research findings, providing an alternative outlet to describe your findings that isn’t in the dry, impassive and deathly tones of an academic paper. The other speaker in this session, Daniel MacArthur, commented that by blogging on subjects so close to his actual scientific work, the research he does for his blogs is not only useful for his work, but can actually drive his scientific work forward. A very interesting perspective. True to this I ended up having an impromptu break-away session with SciencePunk, Dr Aust, Gimpy, Jack of Kent and Dr Petra Boynton, with some great conversation, none of which I will be reporting on. However it is strange being in this new community as a relative newcomer; I’m used to being the guy that everyone knows in my scientific community, thus I settled back into a ‘fresher’ mindset; but hat-tip to Frank (SciencePunk), who always does a good job of trying to introduce me around. Cheers Frank. Later sessions covered the concept of a single digital identity for researchers, the so called ResearcherID. It’s a useful idea, a means of collating all your contributions, in blogdom/science media/scholarly articles to one search record. I am extremely fortunate in this however as, owing to the rarity of my surname, any google search for my surname will bring up nearly all my writings in one way or another; with the only other science publications under my surname being members of my family. 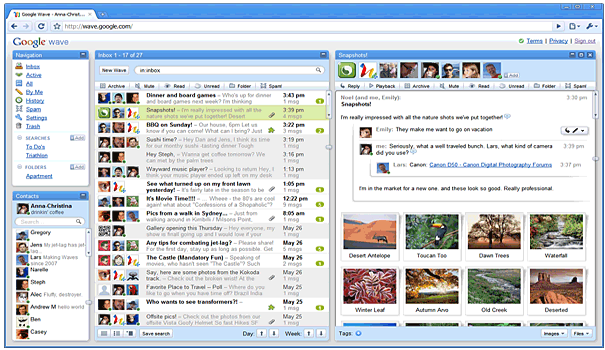 One of the later session in the day was a live demonstration of a new Google technology called Google Wave. This is a fantastic new technology, that could revolutionalise the nature of online collaboration, saving the tedious swapping of documents and using Track Changes. This is real-time, hot-swapping, multi media collaboration – you can all but feel your mate/colleague push the piece of information into your hand [read Cameron Neylon’s post-presentation reflections on Wave]. There is still rather a lot of room in the back end that will be occupied by geeks, they still have some more work to do to make it more user friendly to scientists who wish to collaborate; after all, anyone who has met a paleontologist might suggest that such a level of technology could give them a stroke. At the end of the day, the charismatic John Gilbey of the (fictitious) University of Rural England showed us a picture of the sign on the wall of Linden Lab (Second Life) headquarters. Therein lay a paradox in the form of a digital picture taken of a virtual organisation with a headquarters in the real world, which he then showed to a real world audience that was being filmed and streamed into a virtual world in Second Life. A fair observation by John, and the fact that the universe did not implode suggests that we may have gotten away with this one. A fantastic meeting with many wonderful people with whom I hope to stay in touch. Wow…I heard about this conference far to late to be able to get to go, but I will be writting the date down in case there’s one next year! It sounds like there were some amazing talks. I started blogging in order to constructively use my random internet time, and also to encourage me to read papers and research the background of what I was doing a little more thourily. I do however, always make sure never to show any meaningful results of my own (for copyright reasons – the work technically belongs to my lab) or mention any names of the people I work with. I’m still not sure where I stand legally on those sorts of issues.